Learn more about how to use successful branding to separate yourself from the crowd. Then sit down with us as we help you fine tune your resume and get you prepared for the tough questions ahead. 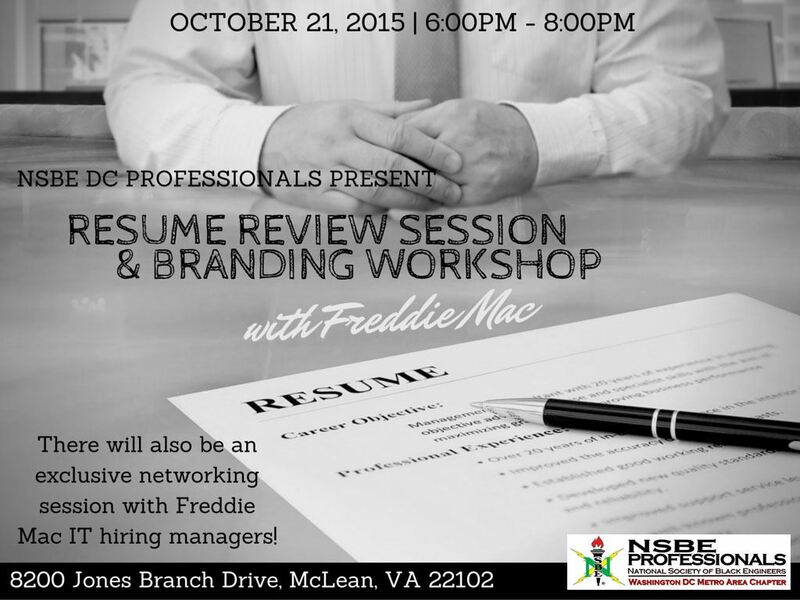 Additionally, there will be exclusive networking with IT managers from Freddie Mac. Refreshments will be served. Sign up for exclusive resume review slots between 6:45pm-7:25pm by Monday, October 19 at the following link: http://www.signupgenius.com/go/30E0F4CACAB2CA0F85-resume. Click on the flyer to register for the event today! For questions, please contact the Professional Development Chair at professionaldevelopment@nsbedc.org.